Today, we’ll take a look at one of the largest and oldest anime and manga cultures: Brazil! If you were to guess the country that has some of the longest history with Japan and Japanese culture, you might guess the United States, but you’d be wrong. One of the oldest relationships between Japan and Western countries actually falls to Brazil, home to one of the most vibrant and active anime and manga fandoms in the world. But how did that come about, and what lead to the rise of anime in Brazil? The story of anime in Brazil is one that spans over a hundred years of international relationships, immigration, and even rocky hardships that could have halted all of this from ever happening! Anime has been a medium that has recently exploded across the globe and become more and more available, but some of the oldest fans around the world reside south of the equator in Brazil; today, we’ll be taking a look at how that all came about, some shocking and interesting facts about Japan and Brazil’s relationship, and how anime culture there has changed in recent years. The relationship between Brazil and Japan began in 1543, when Portuguese explorers happened upon Japan and, at a time when Japan largely distrusted outsiders,, managed to set up a working relationship of trade between the two countries along with the Dutch. These relationships progressed to the point that the city of Nagasaki became a hub of international trade and interaction between the two countries, with Portuguese traders even holding certain political sway within the city. Although this relationship eventually ended, when Brazil gained its independence from Portugal in 1822, Japan founded official international relations with the country in 1897, looking to establish what was then called the “Treaty of Friendship” between the two countries. This saw the beginning of some of the first arrivals of Japanese immigrants to Brazil. Sadly, WWII caused much strife and conflict between the two nations, as Brazil siding with the Allies ended diplomatic relations, and many Japanese-Brazilians faced harsh punishments and discrimination during and after the war. By 1953, however, things started to return to a beneficial relationship again, and even more Japanese immigrants arrived in Brazil in the next few decades. Today, Brazil is the second largest home of Japanese people outside of Japan itself! 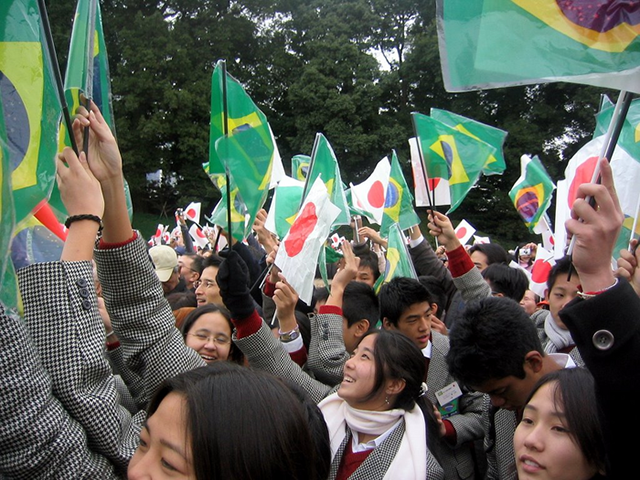 Although Japanese-Brazilians had faced discrimination and hardships in the past, they are currently one of the most vibrant and flourishing immigrant populations in Brazil and abroad, maintaining their unique cultural identity between the two nations. 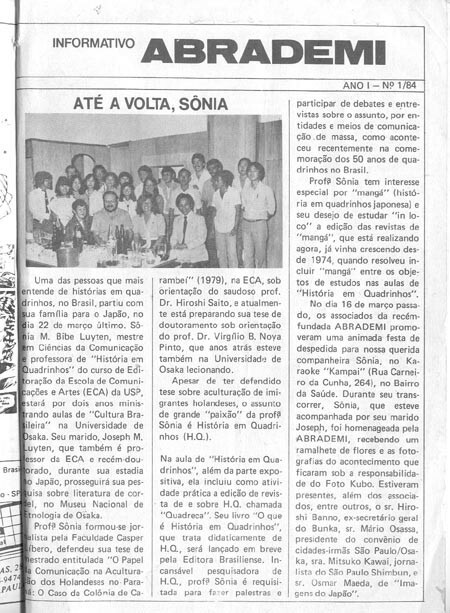 In many cases, these Japanese-Brazilians were responsible for some of the first crossovers of anime culture to Brazil. 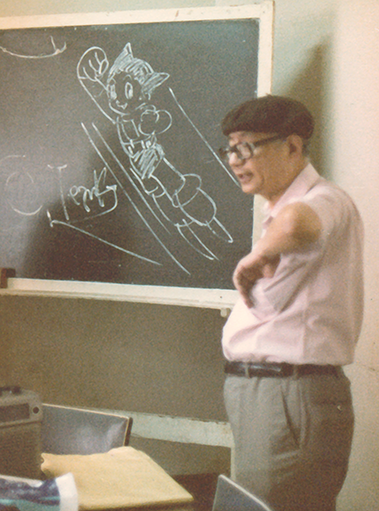 In 1964, Minami Keizi was the first artist to make comics in the manga style with his piece, Tupãzinho, o Guri Atomico, inspired by the iconic Osamu Tezuka’s Astro Boy. The most famous of Keizi’s works was Álbum Encantado, a work that depicted illustrated stories in a manga-inspired style. Several other artists started to experiment and expand their work in the style of manga, one of them being Claudio Seto, who went on to become incredibly famous and being thought as the greatest creator of Brazilian manga with works like O Samurai. Seto, along with Keizi, are considered the forerunners of manga in Brazil, often being cited as inspirations for national authors! 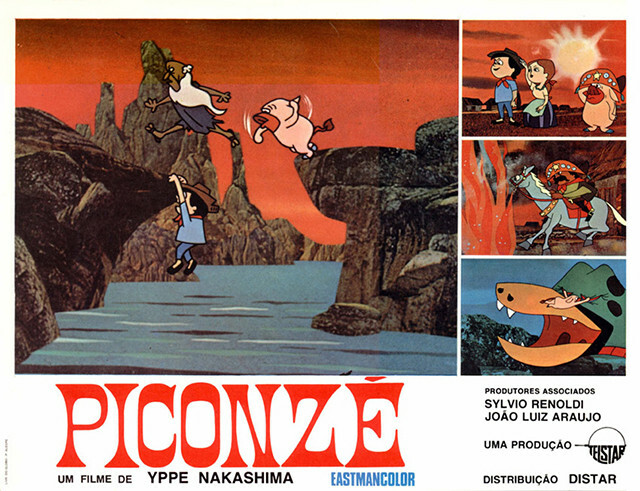 In 1972, a huge milestone in Brazilian animation was made possible by a Japanese cartoonist named Ypê Nakashima, who brought the feature film, Piconzé, to the masses. It was the first ever color animation film produced in Brazil, winning a Golden Owl award from the National Cinema Institute! Piconzé drew on Nakashima’s knowledge of Japanese and Brazilian folklore to create a unique and interesting tale. Before he immigrated to Brazil from Japan in 1956, he used to work on newspapers like Mainichi Shimbun and other publications, and continued to do so in Brazil before working on the film. 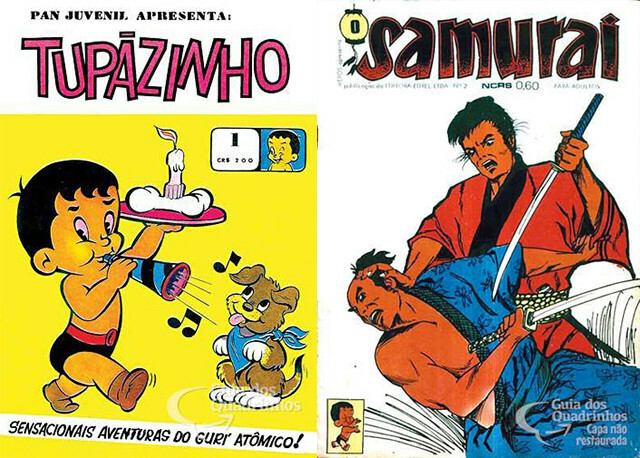 Ype’s son, Itsuo Nakashima, not only also worked on Piconzé with his father, but would also go on to work on two animated features starring Brazilian cartoon and comic giant Turma da Mônica. In 1984, in order to promote the growth of anime and manga, ABRADEMI (The Brazilian Association of Manga and Illustration Artists) was founded. 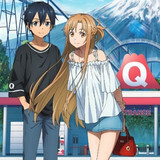 Along with publishing their bi-monthly newsletter and two anime-themed magazines called Clube do Manga and Qnadrix, ABRADEMI provided activities, courses, speeches, videos and exhibits linked to Japanese history and culture, as they seek to heighten anime and manga as a true expression of art and culture. ABRADEMI is one of the first groups to help pave the way for the introduction of anime and manga to a larger audience in Brazil, attracting the attention of the God of Manga himself, Osamu Tezuka! At the 1984 Sao Paulo Art Museums Exhibit of Comics, Osamu Tezuka gave an unforgettable speech that they hosted happened to be the one where they brought the legendary Osamu Tezuka to speak at on behalf of ABRADEMI! 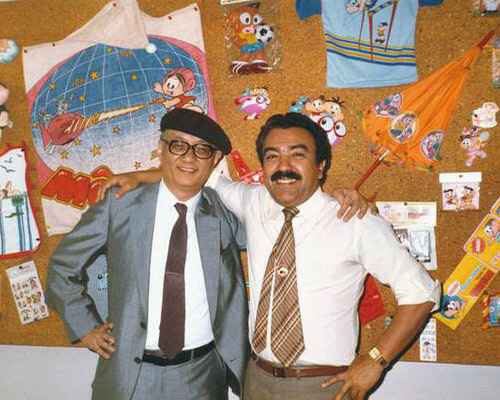 Tezuka’s visit to ABRADEMI was unique, and allowed him to even meet up with Mauricio de Sousa, creator of Turma da Mônica; Mauricio and Tezuka must have left a great impression of friendship and respect, because in 2012 Sousa included Astro Boy, Sapphire, Kimba, and Rock Holmes in his Monica Teen book, under the direct guidance of Tezuka Productions, the first time ever anyone outside of Japan was officially allowed to include Tezuka characters in their own work! Another influential event was the exhibit for Sao Paulo’s Everest Video, which helped pave the way for the introduction of Rumiko Takahashi’s renowned anime series, Urusei Yatsura! Although many Brazilian artists drew on manga as an influence for their own comics, actual manga and anime in Brazil took quite a while to get official releases. 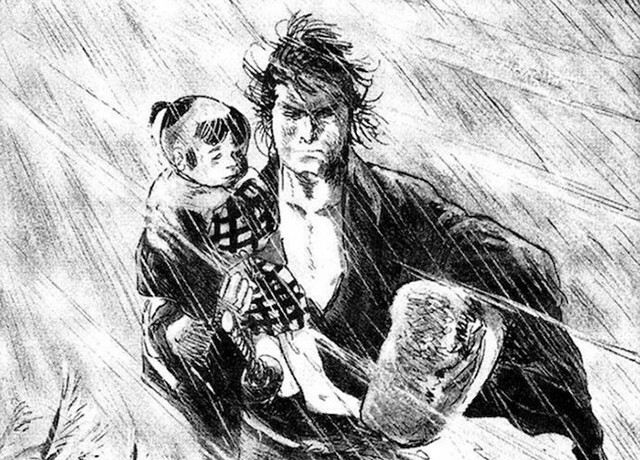 A manga marketing testing period began in 1988, with Cedibra leading the way by publishing Kazuo Koike’s Lone Wolf and Cub. Not to be outdone by Cedibra, Globo followed up by publishing Akira. Starting in 1990, with the thriving acknowledgement of Japanese cultural products, and the quality of the stories in manga form that were initially made as an experiment, allowed these works to be commercialized, which ensured the presence of manga in newsstands and book shops across the country! While manga mania slowed down a bit, the Pokémon boom of the 90s helped to reignite interest in the medium, with publications of Pokémon: The Electric Tale of Pikachu hitting stands. 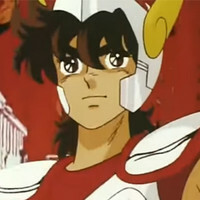 In the late 1990s, anime and manga really started picking up interest, with the beloved Saint Seiya airing as Knights of the Zodiac leading the charge. Knights of the Zodiac was a massive success. Even today fans in much of Latin America and North America refer to it by name and remember growing up watching episodes of it! Saint Seiya’s success helped carve a path for future broadcasts of anime, like the shonen mega-hit, Dragon Ball! In 2000, due to the incredible fame of Saint Seiya and Dragon Ball, their respective manga were published and they were met with success! The rising popularity of manga made it possible for other series like One Piece, Slam Dunk, Neon Genesis Evangelion and many other titles to get official publications as well, with Conrad publishing even publishing works by Osamu Tezuka! In 2004, book publisher Panini started publishing manga, with their initial titles being Peach Girl and Eden. 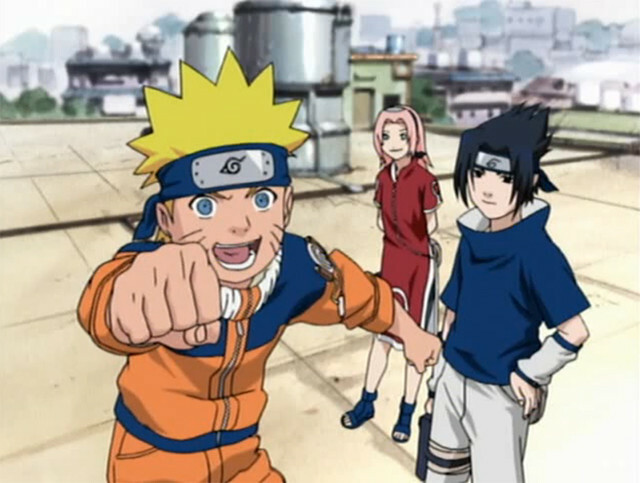 But in 2012, they went all in by publishing two of the most known manga in Brazil: Naruto and Bleach! Panini would ride this success to publishing many other popular series, and even took over the rights to the One Piece anime and manga. Interestingly, manga used to be published in Brazil in 100 page chunks in smaller sizes to Japan’s original style, but these days manga is published in a much more “traditional” Japanese format of full-sized volumes; Panini even went through the trouble of republishing over 30 volumes of One Piece in the newer format! In 2008, Brazilian-born Japanese illustrator and novelist Yuu Kamiya drew the illustrations Takaya Kagami’s light novel A Dark Rabbit Has Seven Lies. 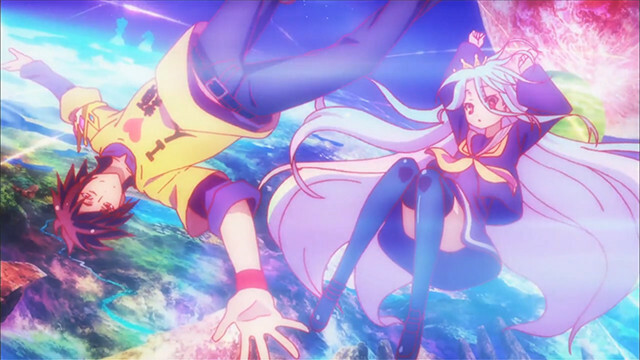 He then went to creating, writing and illustrating his own light novel series, No Game No Life in 2013. It was such a huge hit that in 2014, it was listed as one of the top-selling light novels, and in that same year began its anime broadcast! Not only that, but No Game No Life was one of ten light novel series to get a Yomiuri Shimbun Sugoi Japan Award! 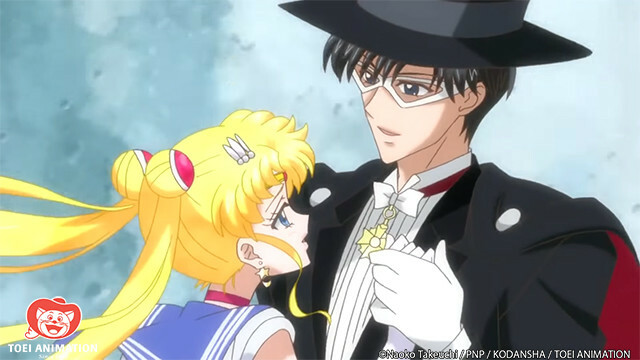 Following many years of negotiation, Japan Brazil Communication (JBC) was able to finally go through with their release of the Sailor Moon manga in 2014. Now that manga had found great success in Brazil, and a move to make pubilshing manga more in line with Japanese standards, JBC set out to create an amazing rendition of the series for Brazilian readers. JBC’s edition of the manga was the company’s most vital release, and was so well done that it was praised by Sailor Moon’s creator, Naoko Takeuchi and Kodansha employees for its quality! And finally, in 2012, Crunchyroll (that’s us!) started distributing anime simultaneously to Brazil. 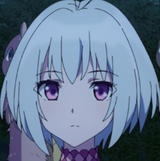 The service launched 30 of its titles with Portuguese language support, which included new simulcast titles. Just last year in 2018, Crunchyroll launched programming on linear TV in Brazil thanks to the partnership with Rede Brasil! 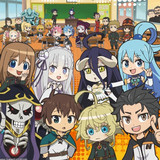 Together, they started a specially-programmed anime hour, which included subtitled episodes of popular anime like Black Clover. 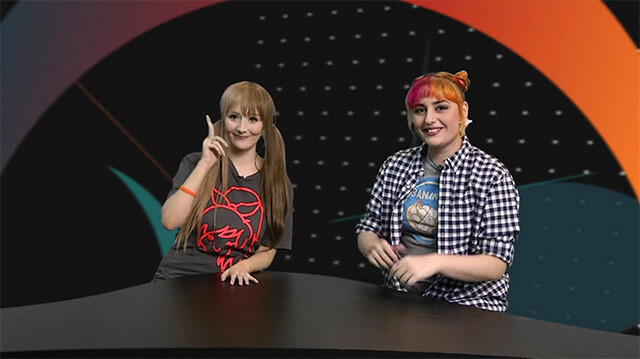 To supplement it, there’s also some local programming from Crunchyroll’s Brazilian own community managers, where they dig into what’s new in the anime world. Anime and manga is at its height of its popularity in Brazil right now, and it shows no signs of slowing down! It’s an amazing journey that spans the linked history of Japan and Brazil, with many Japanese-Brazilians helping to pave the way and introduce manga and manga aesthetics to Brazil’s own growing comics and animation industry. 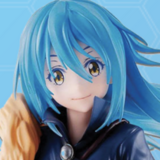 With visits from legends like Osamu Tezuka and larger and larger official publications of manga starting in the last few decades, Brazil’s choices for anime and manga have exploded with choice! It seems like anime and manga fans will have a lot to look forward to if these trends continue, and the history of anime in Brazil looks ready to roll on! Have any memories of anime or manga from Brazil? What country’s history of anime and manga would you like to learn about next? Let us know in the comments! Crunchyroll is Heading East to Anime Boston! Crunchyroll Brings Anime to Brazil!